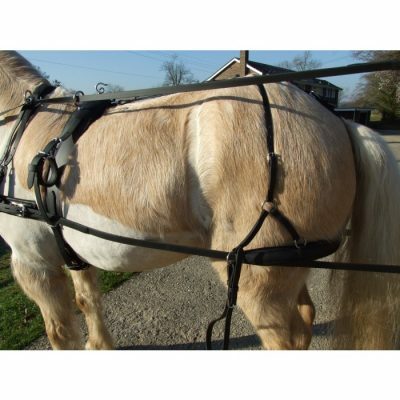 Hartland Hi-Tech Waffle harness is a lightweight, strong harness ideal for the smaller and finer breeds. 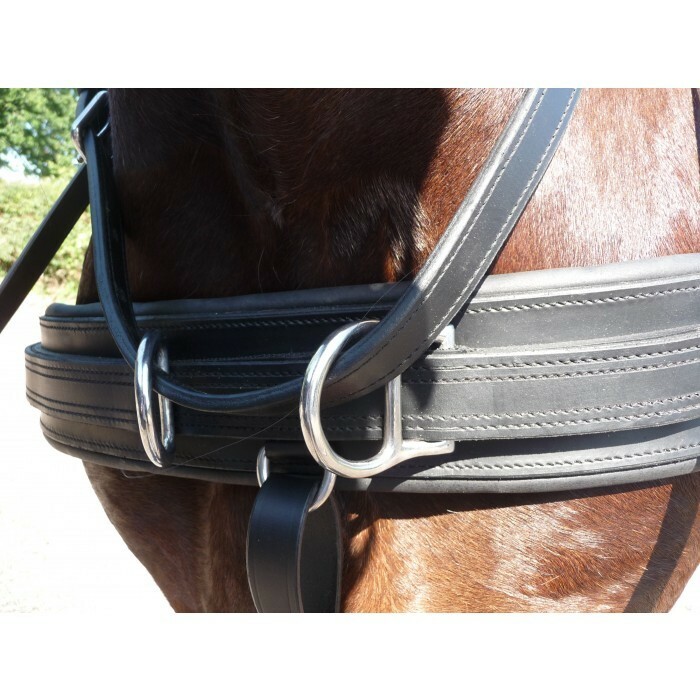 The waffle covering gives additional padding in all the right places to include the breastcollar, pad, breeching and noseband. 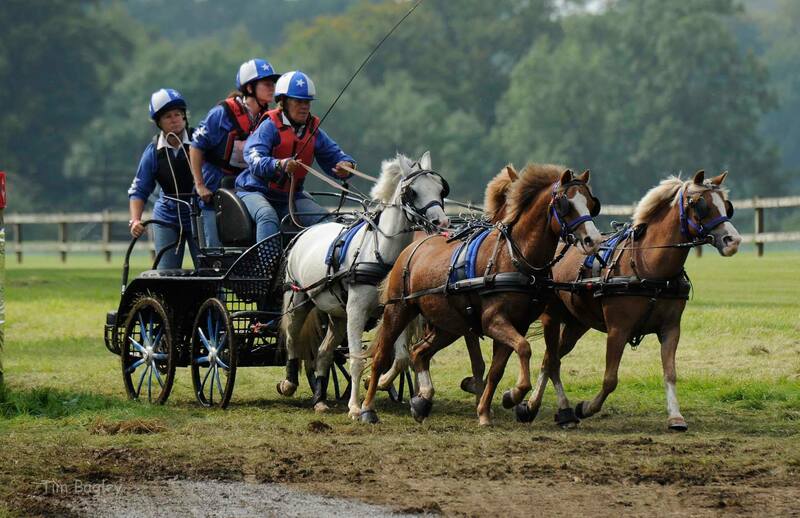 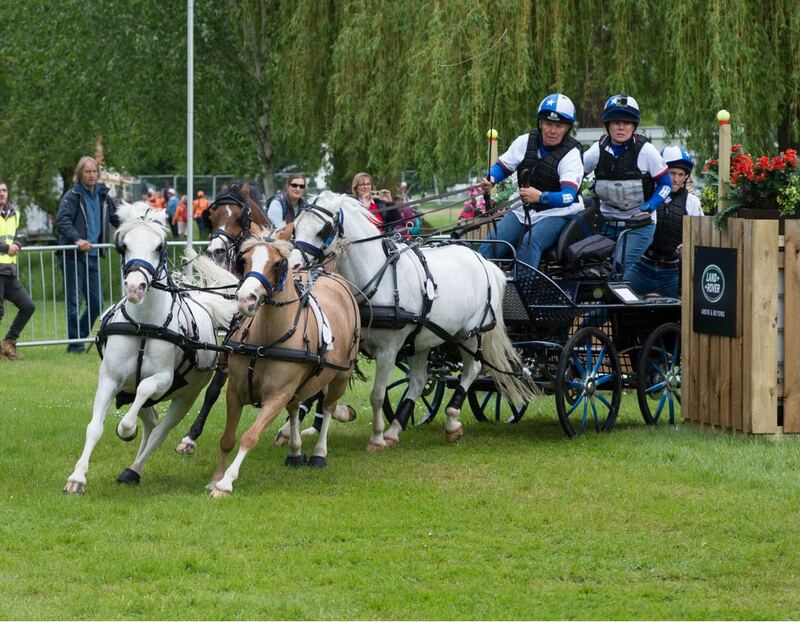 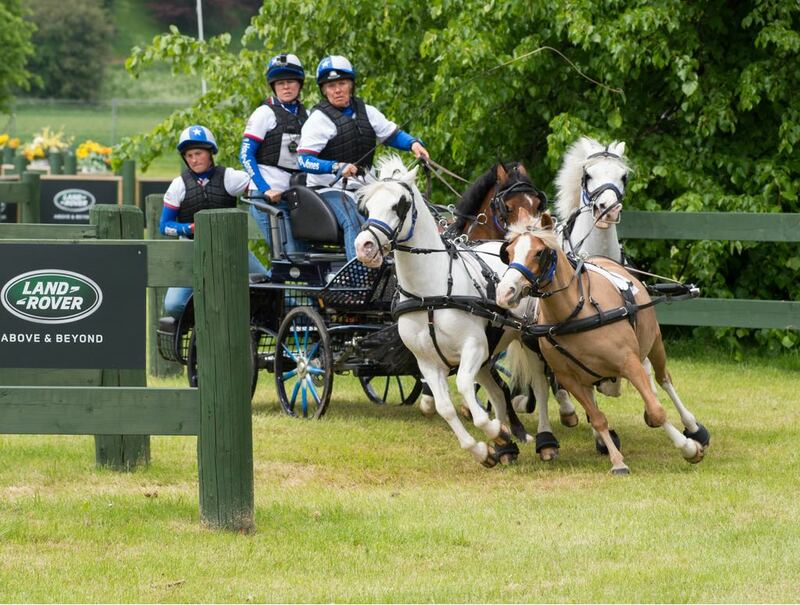 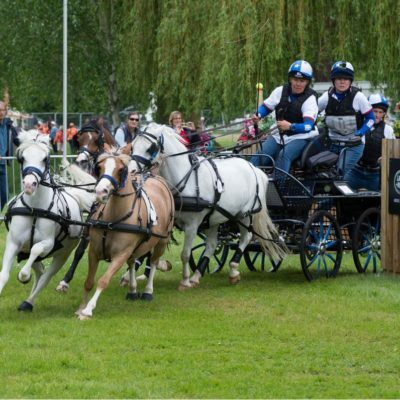 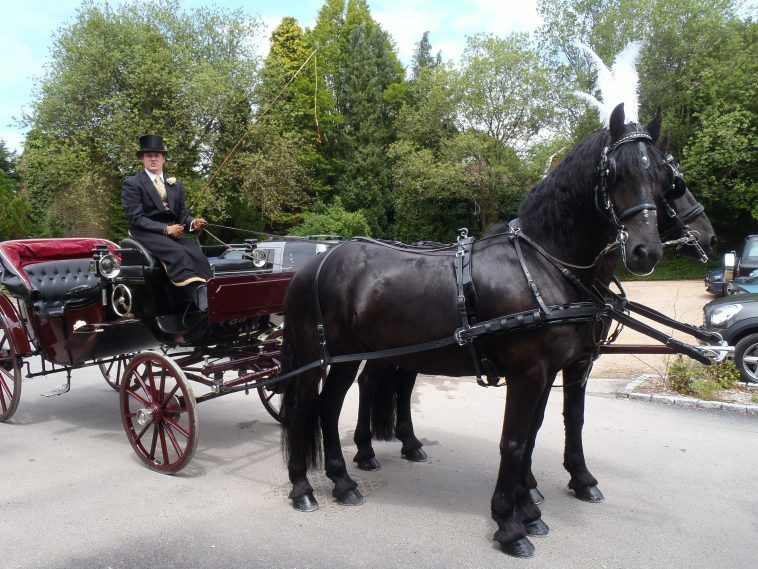 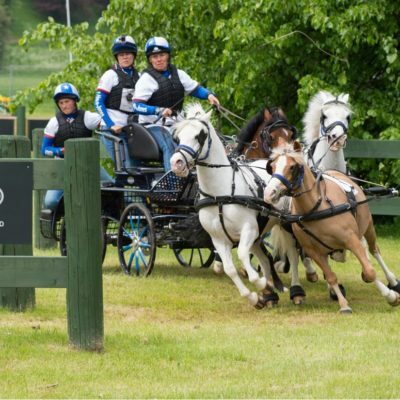 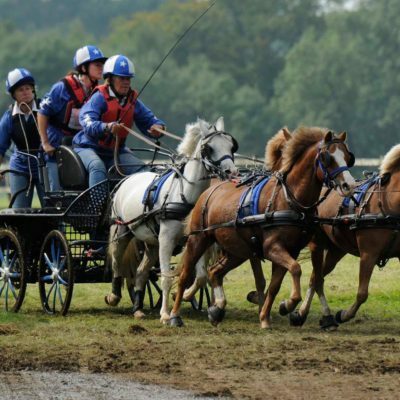 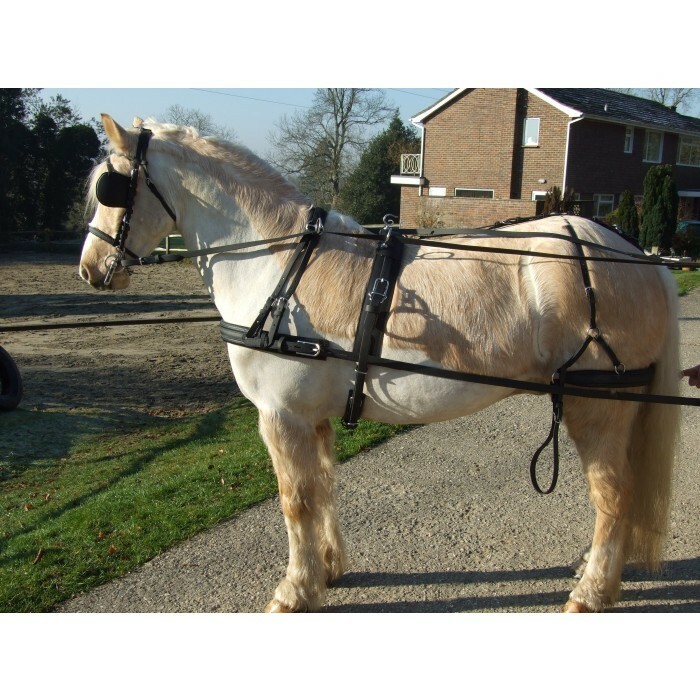 Easy hose/wash clean ensures low maintenance while being used in a number of carriage driving disciples and in all weathers. 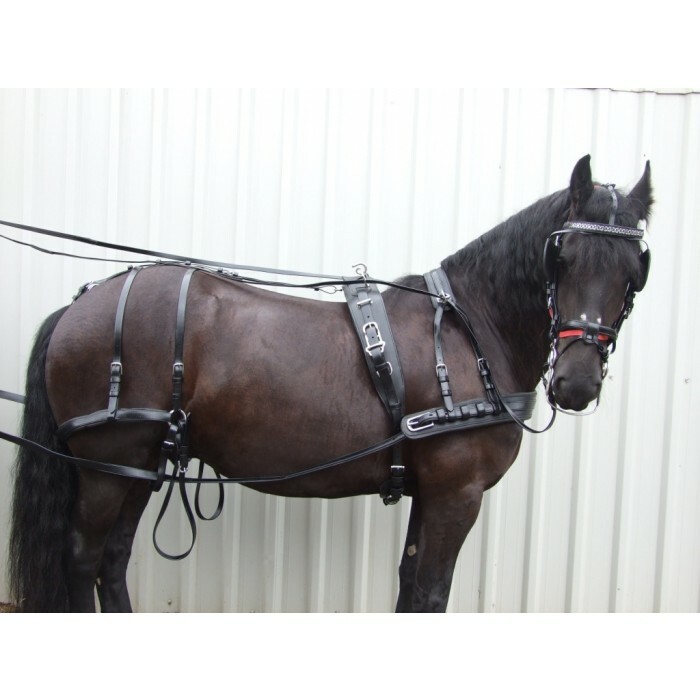 Available in sizes: Mini-shetland, Shetland, Pony, Cob. 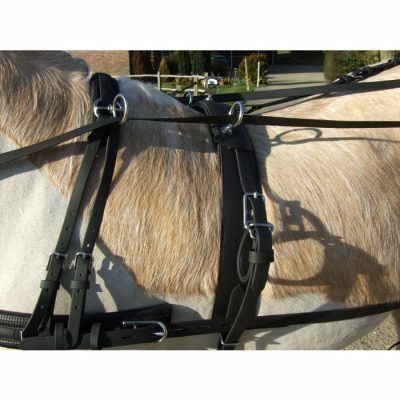 If you wish to discuss your harness requirements or sizes please do not hesitate to call the office 01403 730244. Hartland Hi-Tech Waffle harness is a lightweight durable harness ideal for the smaller ponies or finer breeds as the waffle backing provides additional padding. 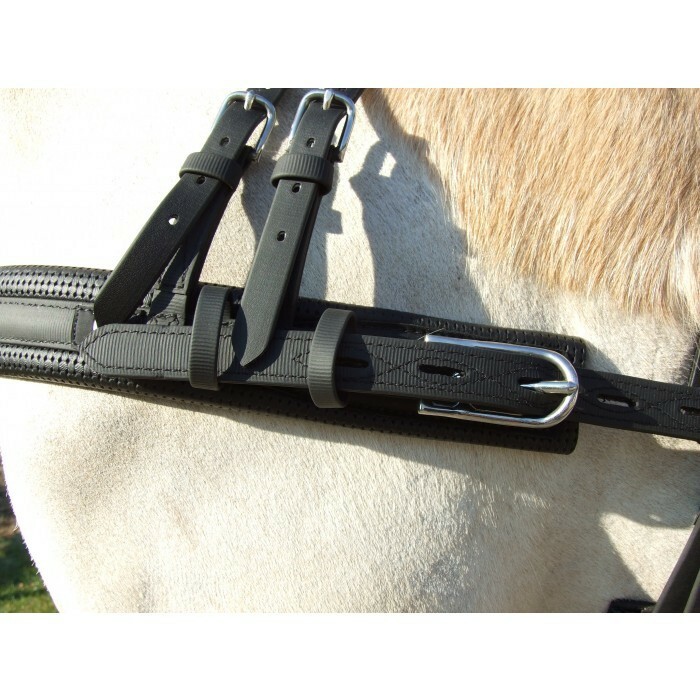 It is made from strong rubber covered webbing strapping with the waffle effect on all inner surfaces of the breastplate, breeching and saddle pad. 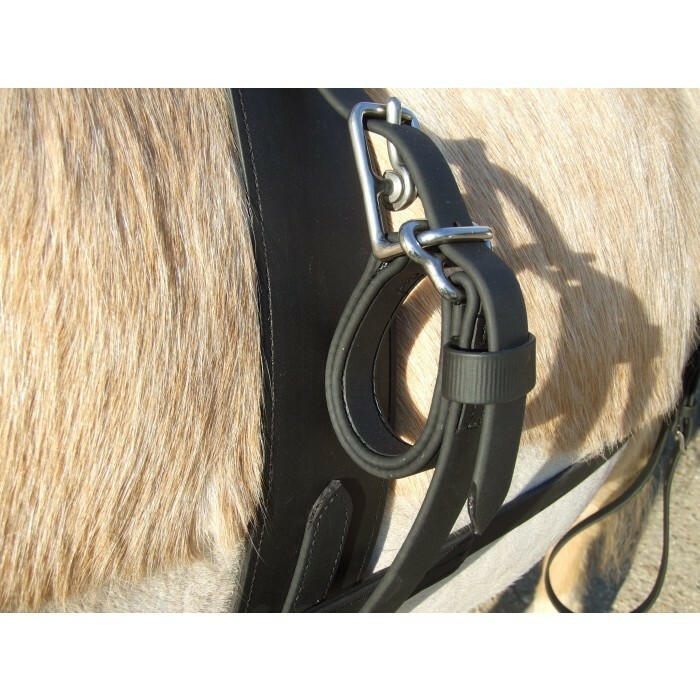 It is therefore extremely comfortable with padding in all the right places. 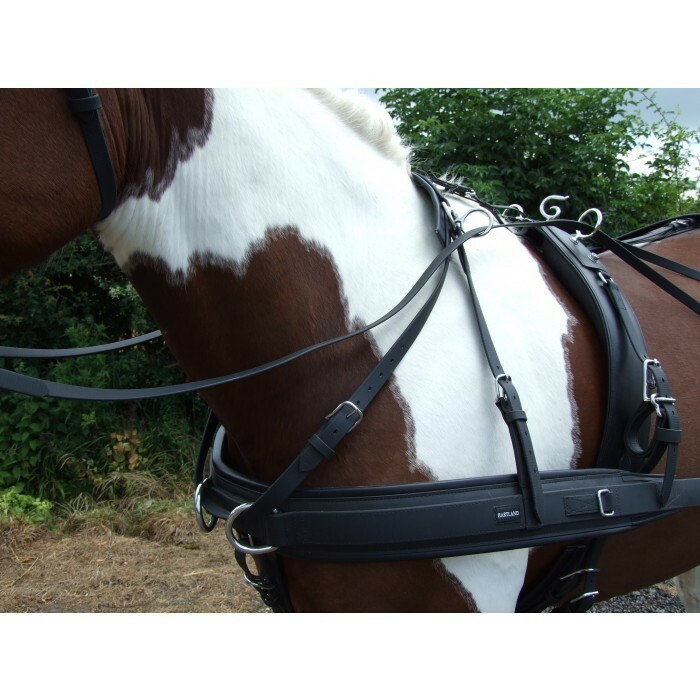 As with the Hartland Hi-tech harness this is easy to maintain, simply hose or wash clean. Ideal for everyday exercise or competition/pleasure. Stainless steel fittings throughout ensure a smart appearance at all times. Single harness complete with bridle, breastcollar, breeching, traces, synthetic rubber grip reins and a pad finished with quick release safety tugs and a crupper and dock. 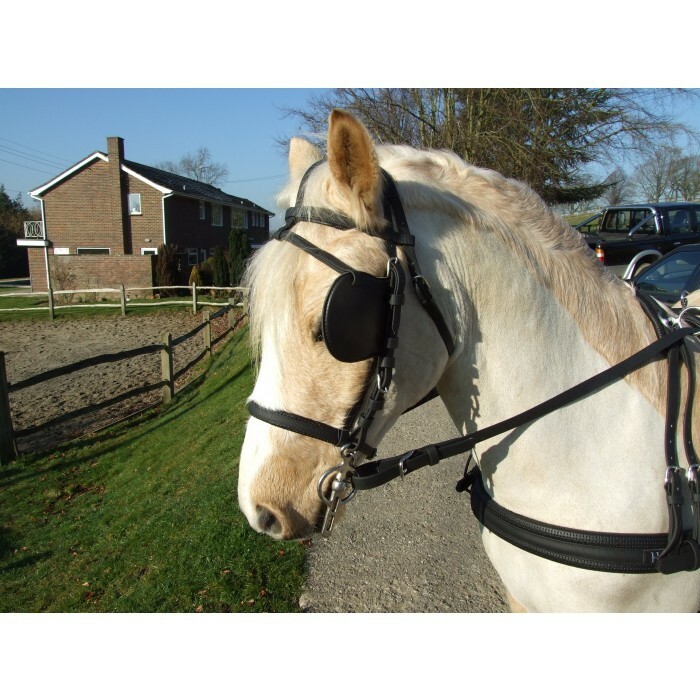 Available with a fixed or sliding backband (for use with 2 wheelers). 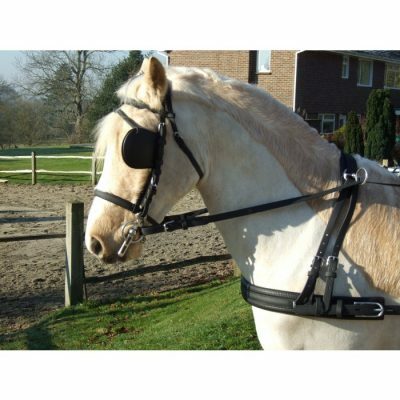 Pairs harness complete with bridles, breastcollar, synthetic pairs reins with rubber grip handparts, pads fitted with slide adjusters for varying sizes of horses/ponies, cruppers and docks and pairs breeching.